Can you confirm these amateur observations of Erythrolamprus aesculapii? Type locality: “Indiis”. Possibly from NE Venezuela or N Suriname (fide Erik Åhlander, pers. comm.). Diagnosis Diagnosis (genus): Myers 2011 and GRAZZIOTIN et al. (2012) state that there is no “exclusive morphological synapomorphy” to diagnose the genus. 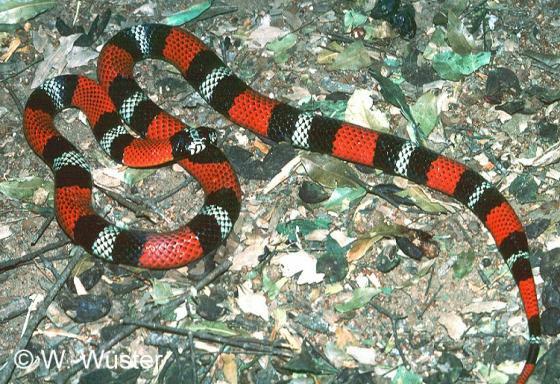 Members of the genus are usually less than 1.6 m in total length; nine scales are normally present on the crown; the number of dorsal scale rows is 15–19 and in some species they are reduced once, in others, they may be reduced twice posteriorly; apical pits may be present or absent on some or all of the scales; ventral counts range from 129–212; subcaudal counts range from 38–106; the temporal formula is usually 1+2; the preocular is usually single; the postoculars are usually two; upper labials are usually eight; lower labials are usually ten, and two pair of enlarged chin shields are present. (Murphy et al 2019). Comment Note the difference in banding pattern on the latter set of photos which is an example for Bates’ mimicry (copying Micrurus corallinus and M. frontalis). Erythrolamprus bauperthuisii has been synonymized with Erythrolamprus aesculapii by CUNHA & NASCIMENTO 1980. Synonymy and subspecies modified after PETERS & OREJAS-MIRANDA 1970. 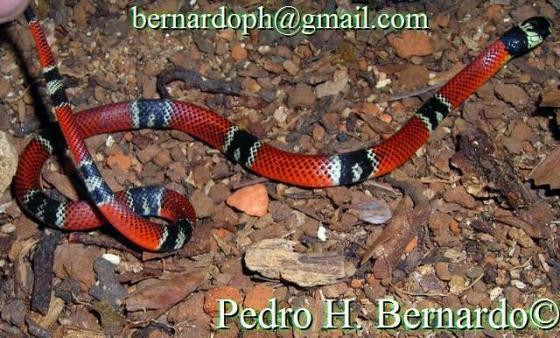 Type species: Coluber venustissimus WIED 1821 is the type species of the genus Erythrolamprus BOIE 1826: 981. 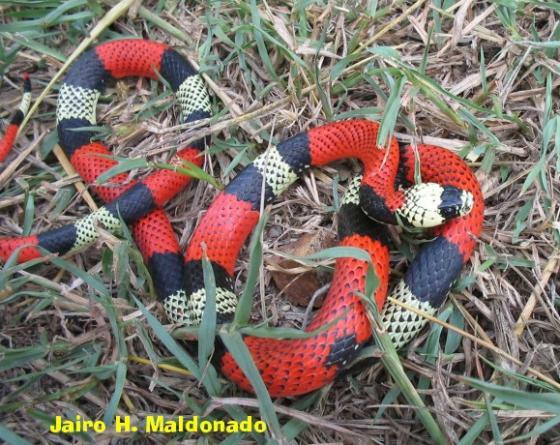 Diet: primarily snakes which are often eaten with the tail first (Braz & Marques 2016). Distribution: Known on Trinidad from only a single specimen (Murphy et al. 2019). Etymology Named after Aesculapius (or Asclepius), the god of medicine in Greek and Roman mythology. Garcia,E. 1896. Los Ofidios Venenosos del Cauca. Métodos empíricos y racionales empleados contra los accidentes producidos por la mordedura de esos reptiles. Cali: Librería Colombiana, xv + 102 pp. Quelch, J. J. 1893. 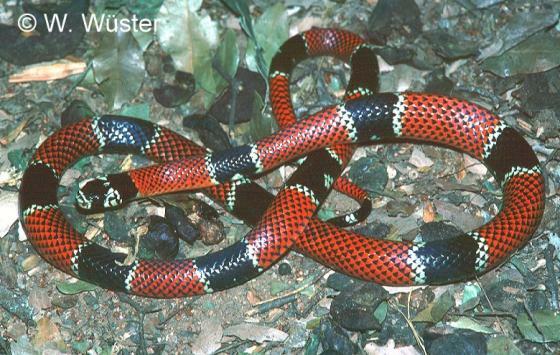 Venom in harmless snakes. Journal of the Linnean Society (Zoology) 17: 30-31.